Royal Mail is a postal service and courier company based in the United Kingdom. It can be used for delivery services within the UK as well as to international destinations. If you have an online store based in the UK and you use GBP (Great Britain Pound) as the store currency, you can use Royal Mail. If you have a WooCommerce store, you can find a few plugins that will help you integrate Royal Mail to your site. In this article, we will introduce you to some of the top Royal Mail Shipping plugins that will help you provide live rates and tracking on your store. 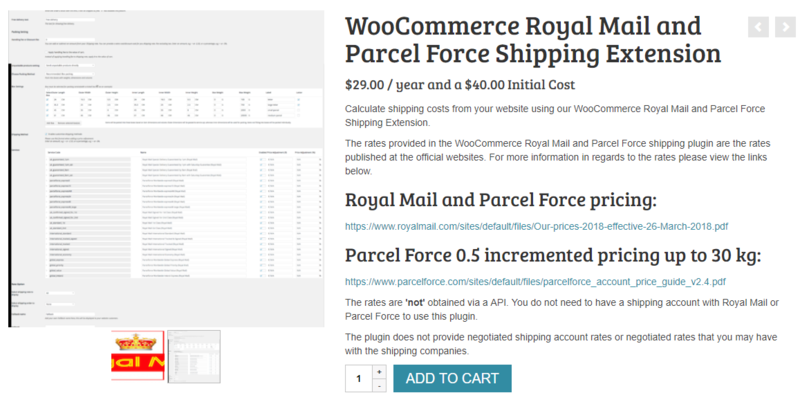 This plugin helps you display Royal Mail shipping rates on your WooCommerce store. To be able to use this plugin, you should be using GBP as your store currency and all your products need to have weights and dimensions added to them. The units for weight and dimensions will be automatically converted to millimeter and gram. 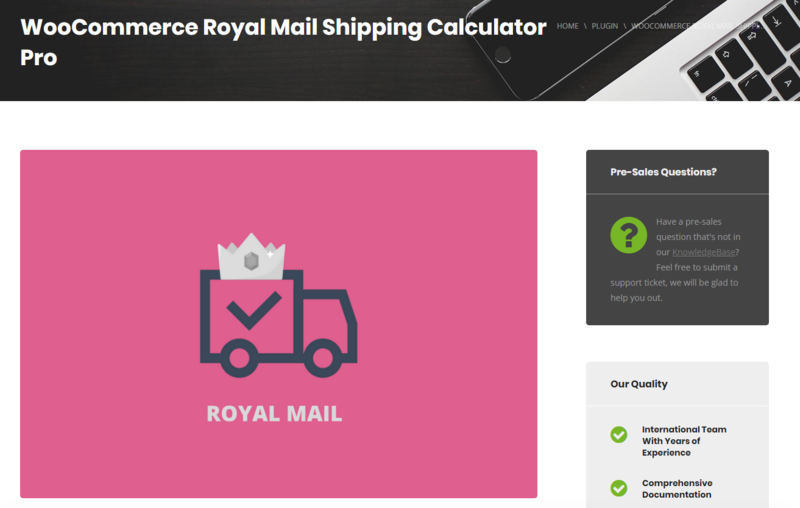 With the help of this plugin, you can display live shipping rates of Royal Mail on your WooCommerce store. With the help of this plugin, you can choose which Royal Mail services you want to offer your customers. You will be able to customize how these services are displayed on your store. You can change the displayed names of the services as well make price adjustments to each. The plugin also offers options to assist with box packing. There is a choice between packing items from an order individually or group items into pre-defined packages whose weight and dimensions you can specify. This volume based packing method also considers the weight of the items. For domestic shipping in the UK, you don’t need to define box sizes as most shipping methods have fixed sizes. However, for international shipping, package sizes can vary and you may have to set up custom box sizes. The plugin is priced at $79 for a single site subscription. The 5-site subscription would cost you $99 and the 25 site subscription is $199. This plugin provides one of the easiest options to integrate Royal Mail to your WooCommerce shopping cart. In addition to displaying Royal Mail shipping rates, the plugin also helps to classify packages into letters or parcels automatically and enables tracking option. The rates displayed on the cart and checkout pages will be based on the shipping destination as well as the weight and dimensions of the products in the order. Hence, all your products need to have weight and dimensions already added. In addition to the option of displaying live Royal Mail shipping rates, the plugin assists in automatic parcel selection and tracking. You will be able to choose which services you want to display on your store from the plugin settings page. In addition, you can customize the names of the services, and also add additional charges to each service if required. You can add additional charges as a fixed amount or percentage value to the existing shipping rates. You can choose to display all the available rates of Royal Mail, or show only the cheapest rates. The plugin also helps with parcel packing with multiple options. You can choose to pack items individually, or based on the total weight of the order. There is also an option where the plugin would automatically classify your package into the right Royal Mail method (based on weight and dimensions). The tracking number of the shipment will be added to the order notes section of your WooCommerce order details. Also, you can set up to include the tracking number in the order completion email that you send out to customers. This way, both customers and store owners will have a clear idea on the whereabouts of the parcel. You can also include a custom shipment message in the order completion email. The plugin also offers an option to set a conversion rate in case you are using a currency other than GBP. It also allows you to provide insurance to your orders. A single site license of the plugin is priced at $59. The 5-site license is $89 and the 25-site license is $189. This plugin helps you integrate multiple shipping services of Royal Mail on your WooCommerce store. Along with a range of domestic and international services of Royal Mail, they also offers Parcelforce shipping services. 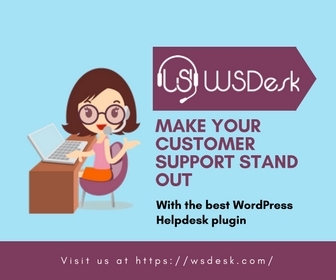 Like you have seen with the other plugins, you will be able to customize names, or add a markup or provide a discount to these shipping services. You can make the price adjustment with a fixed amount or percentage value. Apart from providing a wide range of Royal Mail services, the plugin also supports dropshipping. Sometimes, instead of choosing from a bunch of available shipping options, customers would prefer to get the cheapest available service. If your customers tend to prefer this approach, you can provide just the cheapest value instead of listing out all the available options. This approach to reduce the available choice might prove to help you in improving customer experience on your store. Now, another hassle you generally encounter with shipping plugins is the requirement to add weight and dimensions to all your products. This plugin offers a workaround for scenarios where you have not added weight and dimensions to your products. It helps you set default values for these fields to make your job less complicated. To quickly add weight and dimensions to your products, you can also rely on ELEX Bulk Edit Plugin. A single site of this plugin would cost you $39. The 5-site license is $75 and the 25-site license is $124. This plugin helps you integrate Royal Mail and Parcelforce shipping services on your WooCommerce store. You can display a range of domestic and international services of both carriers in the cart and checkout pages. There is a choice to arrange the shipping services based on the descending or ascending order of their rates. You can also choose to display all available services, or only the cheapest, or even the most expensive option. This plugin helps you integrate a wide range of shipping services from Royal Mail and Parcelforce. As expected, you will be able to change the name of the service or add a discount or markup to the rates. The plugins also helps you add a fallback rate in case other shipping methods and rates are not displayed. Like all other Extensionworks plugins, you can set a threshold order value to apply free shipping. For parcel packing, there are options to create custom boxes suiting your products’ dimensions and also options for weight based packing. A standout feature of this plugin is that it allows you to tie up a product with a particular shipping service. You can choose a preferred shipping service for a product from the product details page. This can be quite advantageous when you have a product with unique shipping requirements that suit a particular service. To get a single site license of this plugin, you have to pay $69, of which $40 is a one time charge. $29 will be a recurring yearly charge for continued updates and support. How Royal Mail shipping services can help your business grow? If you have a business based in the UK, Royal Mail can be a great option that will help you to grow your business fast. Here is a look at some of the advantages of shipping with one of the oldest shipping carriers in the world. One of the primary concerns of an eCommerce store owner would be to get their products shipped to customers correctly and quickly. Incorrect deliveries can impact your business in several negative ways. First of all, you will have to deal with irate customers. Adding to that would be the operational hassles to rectify the mistake. Royal Mail’s ‘AddressNow Capture’ feature helps you not worry about such mistakes at all. It helps you to automatically fill in verified addresses, and reduces the chances of errors that can creep in while entering manually. Another unavoidable challenge of every eCommerce store owner is a return request. According to studies, 25% of all online orders result in a return request. You need to be equipped to deal with the reality of this staggering number. Royal Mail offers hassle free returns so that your customers will grow in confidence doing business with you. When a customer wants to return a product, they can print return labels from the returns portal of Royal Mail and drop the package off at their nearby post office. Such a hassle free return arrangement makes customers choose Royal Mail as their shipping option when multiple options are available. You can find a few tips on how to handle return requests on WooCommerce here. Royal Mail offers convenient collection services for high volume customers. If you spend more than £15,000 every year, Royal Mail will collect items from your location free of cost on weekdays. Moreover, they offers flexible warehousing options that can be customized according to your specific requirements. For contract customers, there are options to integrate Royal Mail parcel services to your order management system. To ensure fast delivery, there are several services like Same Day, Special Delivery, etc. There is also a convenient ‘Local Collect’ option where the shipment will be delivered to the nearest post office of the customer. This might be preferred by a lot of customers, and would help to improve overall delivery choices on your store. In addition to their wide range of services, Royal Mail assists in your marketing initiatives as well. ‘MailshotMaker’ helps you create flexible and cost effective options to create direct mail campaigns. There are several options from which you can choose the ones that fit your audience and budget best. Similarly, CustomerFinder’ is a free tool that will help you find prospective customers from your local area as well as across the United Kingdom. Such handy tools will help you expand your customer base while offering excellent services to the existing ones. With Royal Mail, you don’t have to limit your reach only to the United Kingdom. You will find several support tools that will help you explore international markets. Royal Mail delivers to over 220 international locations with tracking and signature options for hassle free fulfillment. The delivery time for international locations through Royal Mail is three to seven days. To destinations in Europe, the delivery time will come down to a faster two to five days. When you start exploring a local market, experts from Royal Mail will offer key insights anf local knowledge to help you establish yourselves. Moreover, if you are using the local versions of popular marketplaces like Amazon and eBay, you can more easily develop your business in foreign markets. The several support services available with Royal Mail offers you peace of mind in managing your business. Moreover, there are varied options that will help you choose the most cost effective solution suitable for your specific business needs. All these aspects can be important reasons for you to choose Royal Mail shipping services if your business is located in the United Kingdom. More importantly, a lot of customers prefer an online store that features Royal Mail services. And to make things easier, the above mentioned plugins will help you integrate Royal Mail services smoothly to your WooCommerce store. 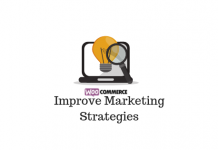 How to improve order fulfillment process on your WooCommerce store? Best shipping plugins for WooCommerce. 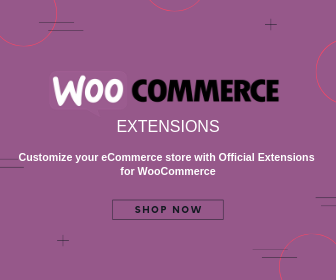 Why WordPress and WooCommerce are the best options to set up an online store? 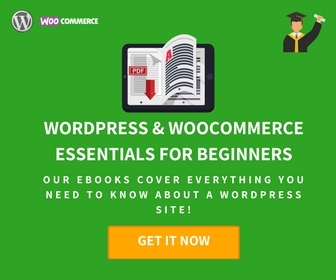 Previous articleHow Building an Online Store Costs Money when WordPress and WooCommerce are Free Tools?